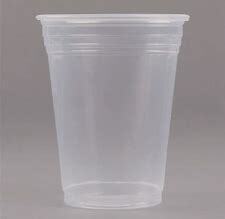 Empress Polystyrene cups is a complete line of translucent Polystryrene cold cups. Polystyrene cups are an economical choice for your favorite beverages, offering an alternative to PET. They remain rigid and tough, while being lightweight. These versatile cups are perfect for catering, schools, home-users etc., with an upscale look and excellent value pricing. Available in a range of sizes from 5 to 16oz, these single serve cups will accomodate your cold cup needs.